This Villa has a spacious living area on one floor with 3 bedrooms, 3 bathrooms and a living room with attached kitchen and dining area. The villa offers a fully equipped kitchen with oven, dishwasher, microwave, and coffee machine. But for those who don't want to cook food at home, Thailandresort offers Thai and European cuisine at the resorts restaurant. The outside area offers a large terrace with shade and a surrounding garden. 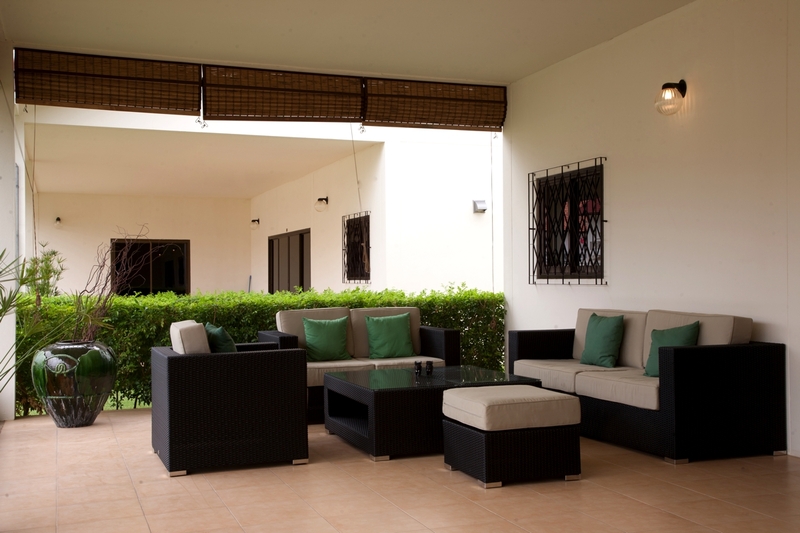 The villa is equipped with comfortable beds, flat screen TV and washing machine.